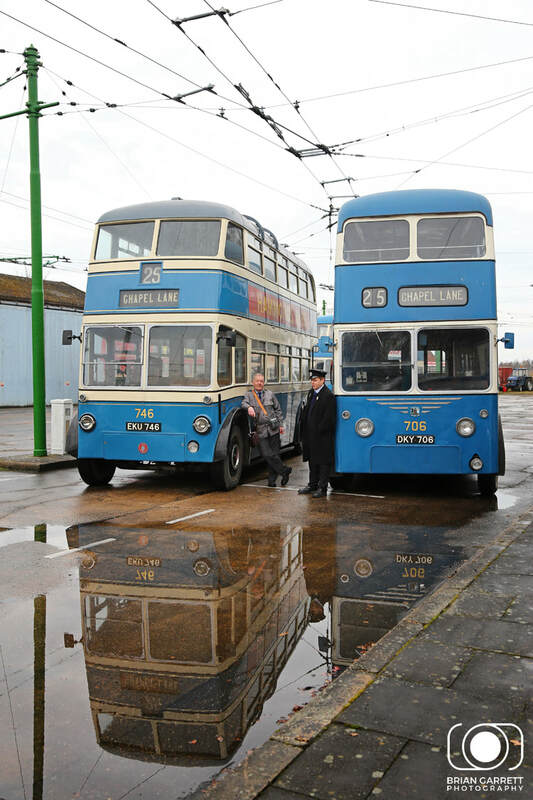 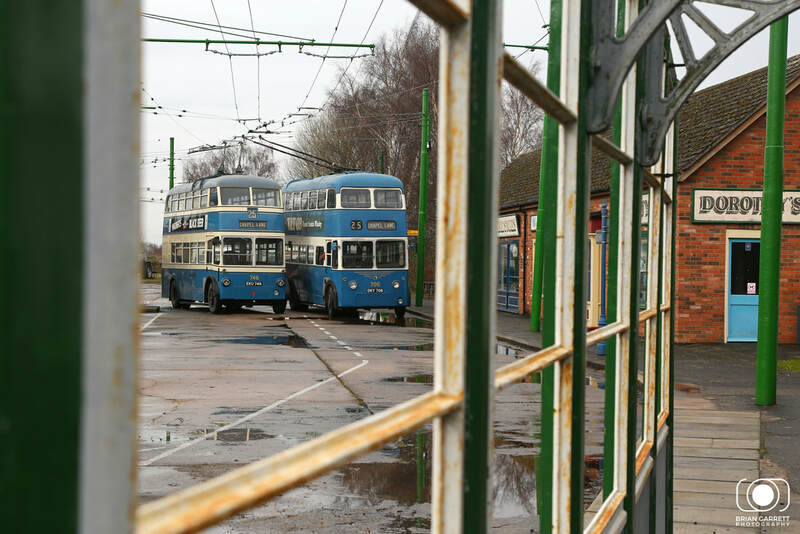 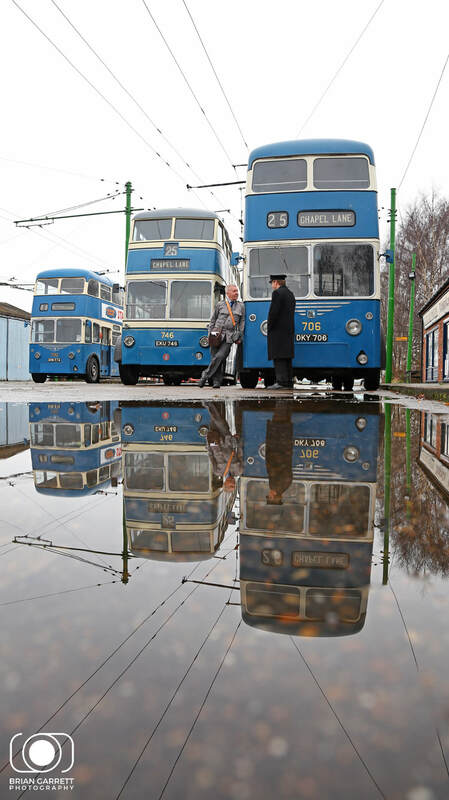 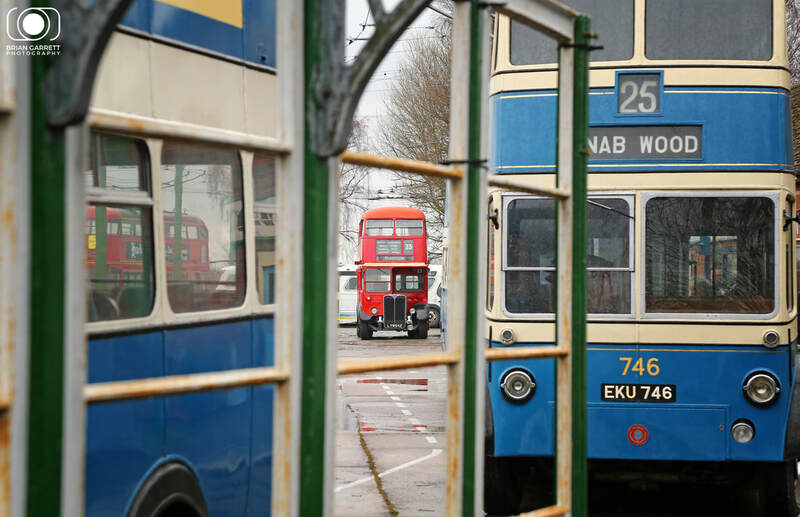 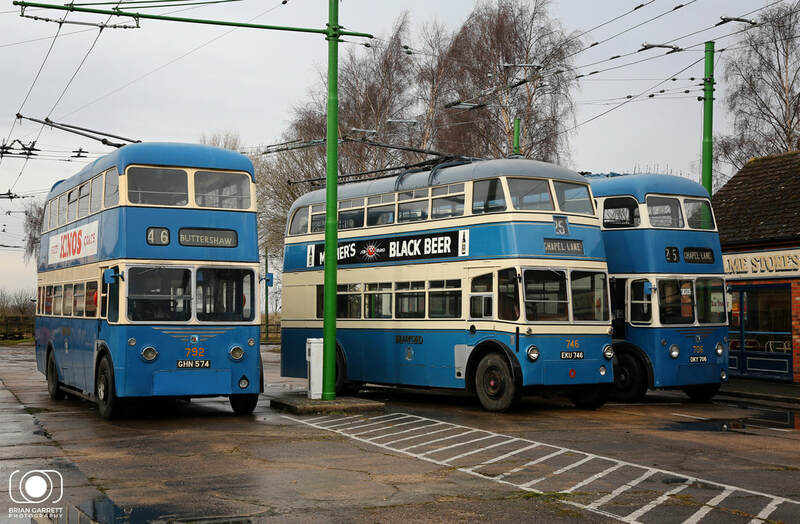 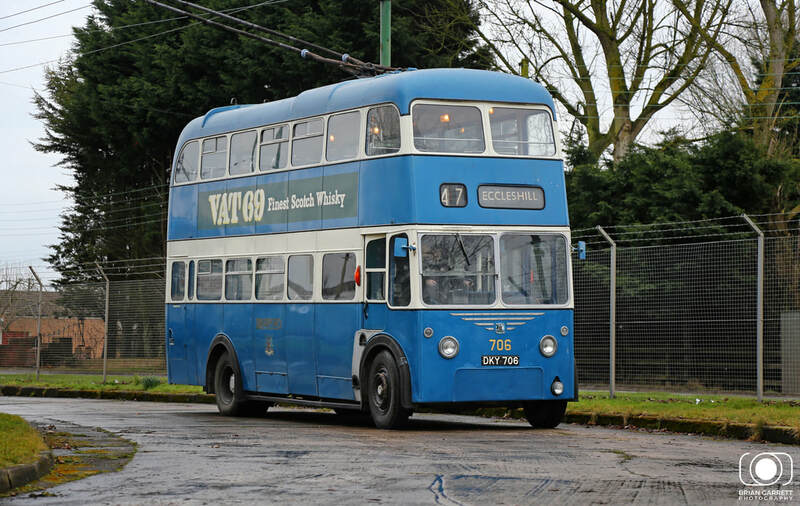 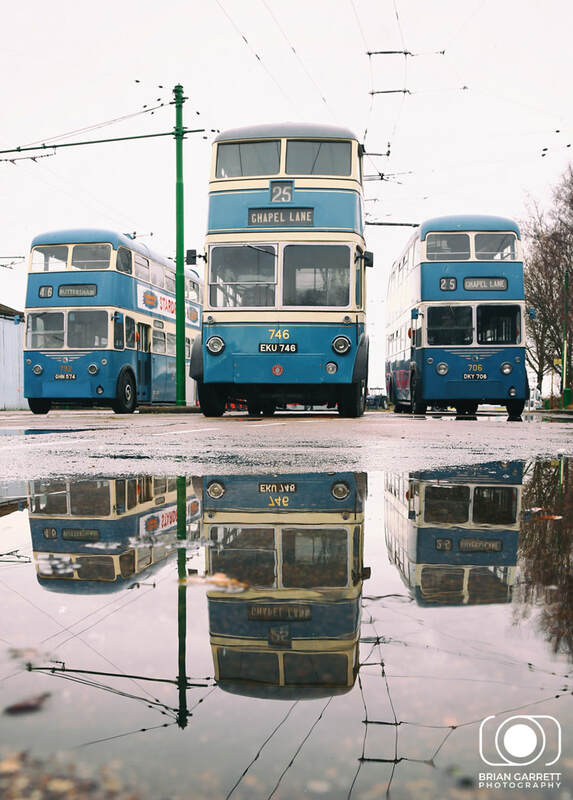 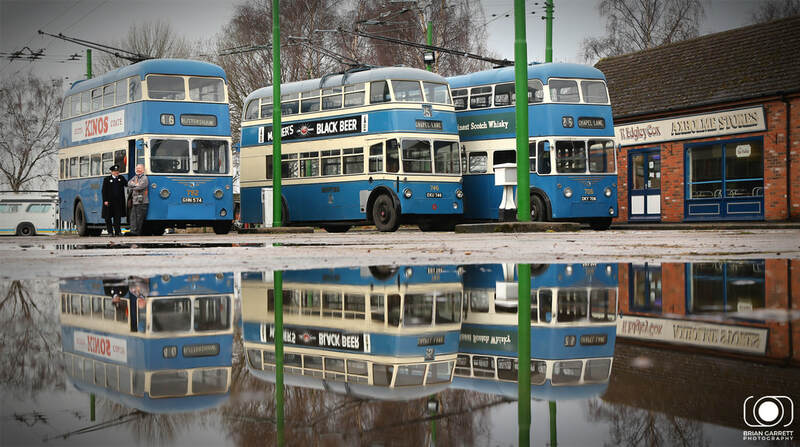 The Trollybus Museum at Sandtoft (North Lincolnshire) played host to a Timeline Events Photographic Charter on Saturday 10th March 2018. 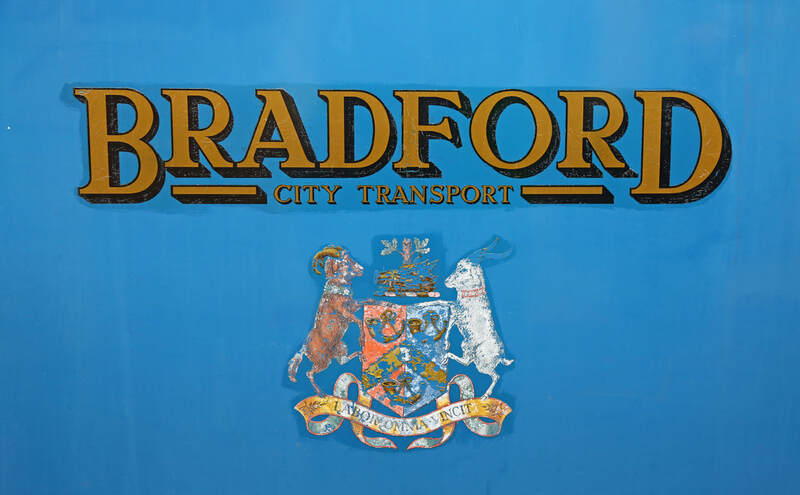 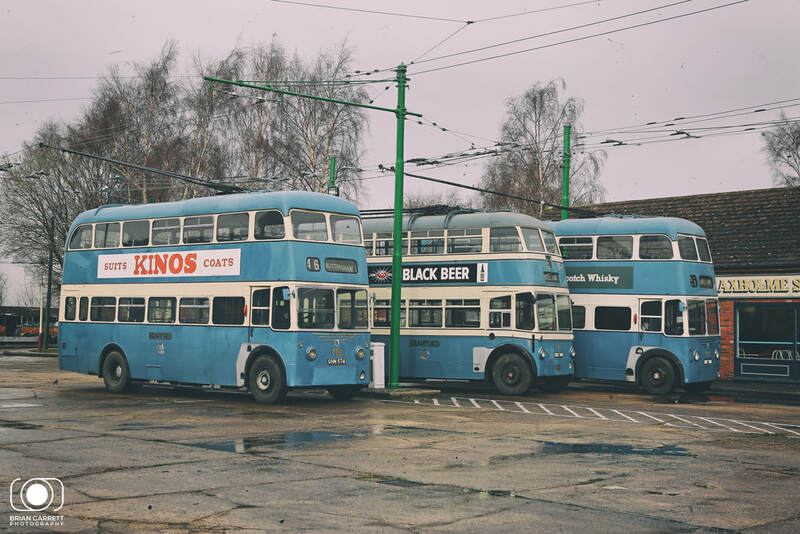 The event featured three former Bradford liveried buses for the first part of the day. 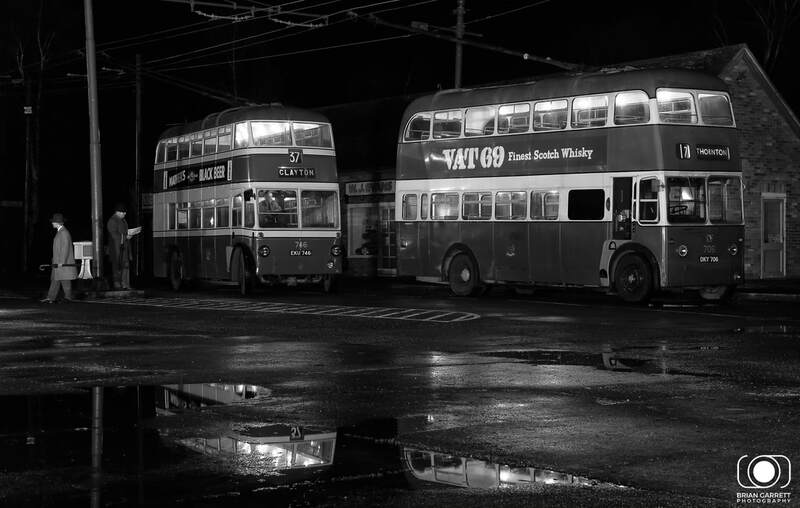 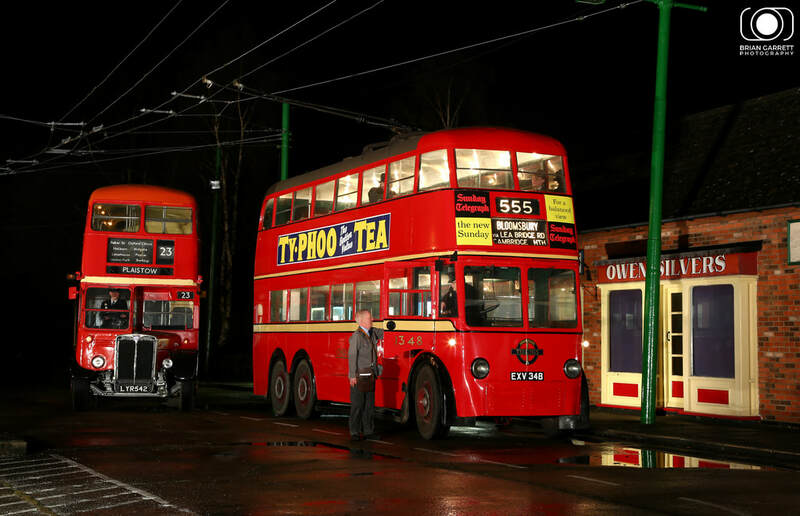 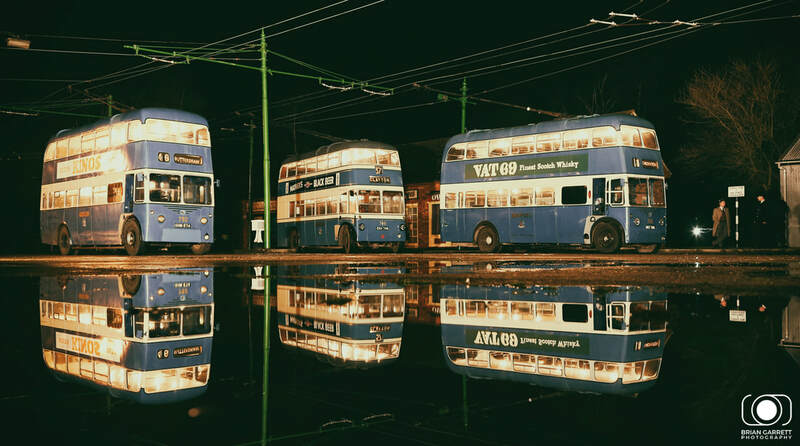 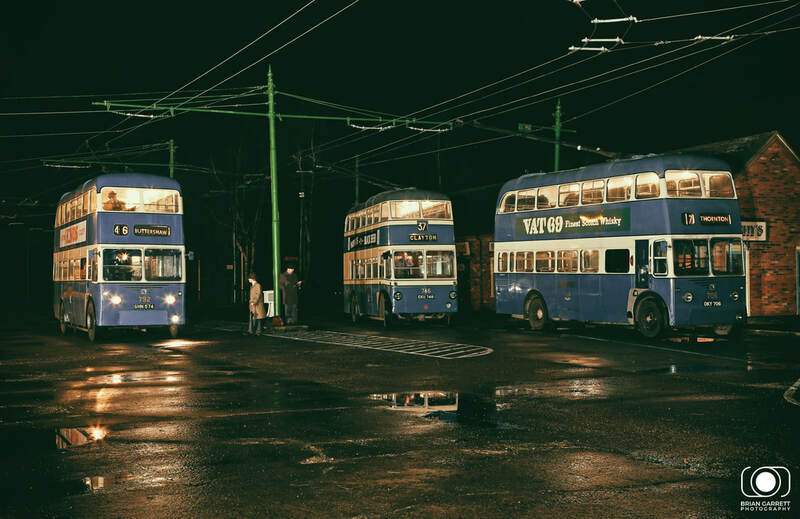 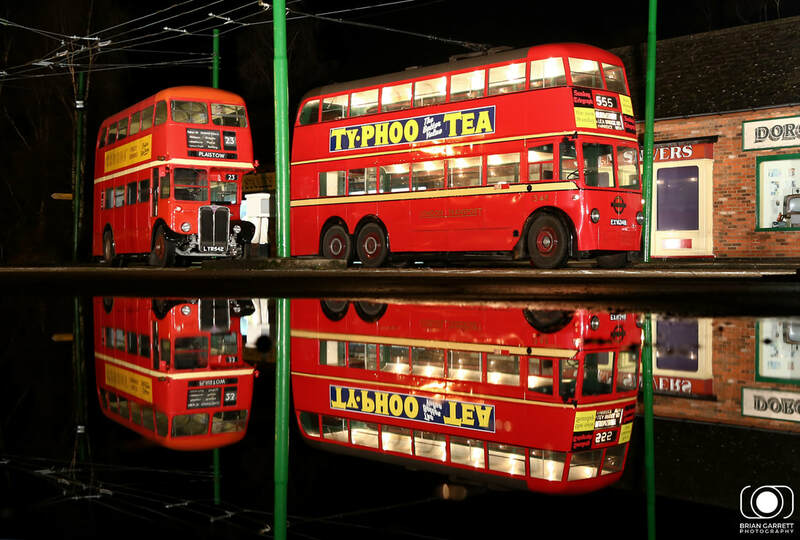 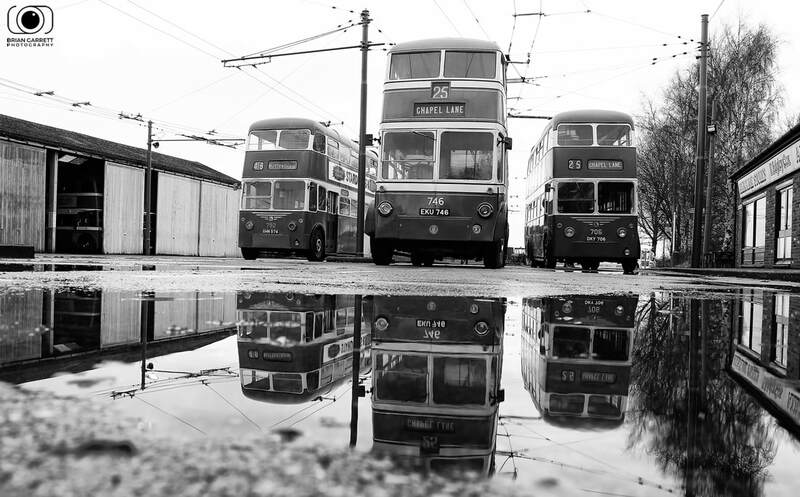 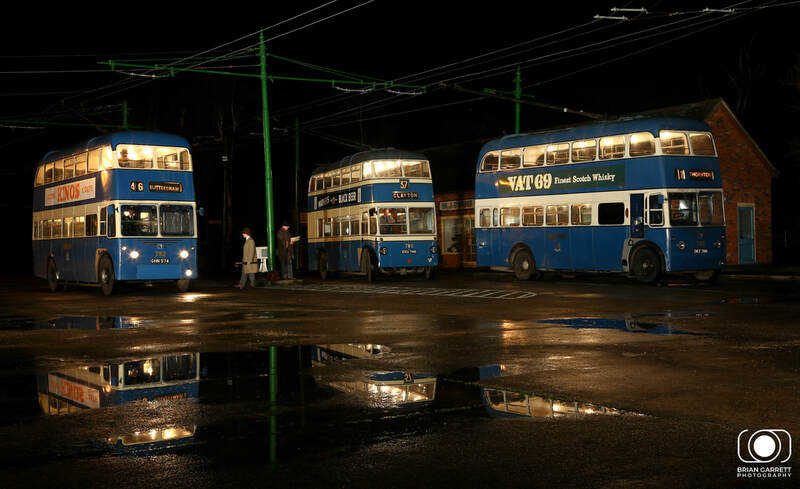 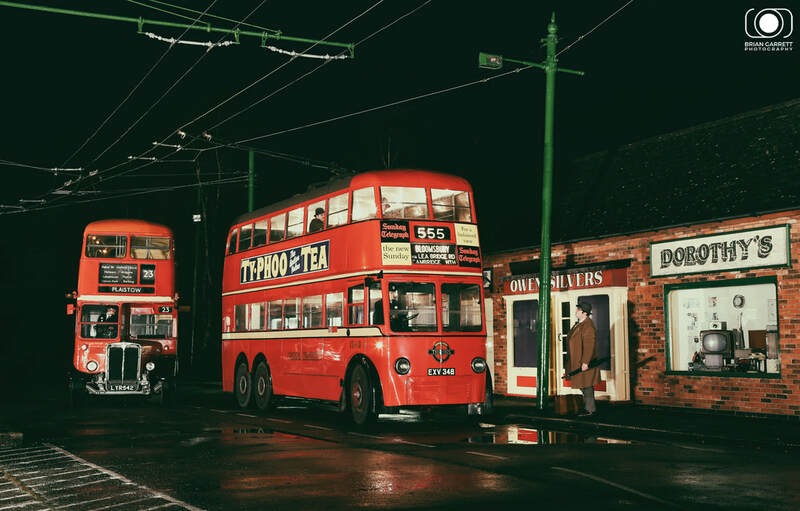 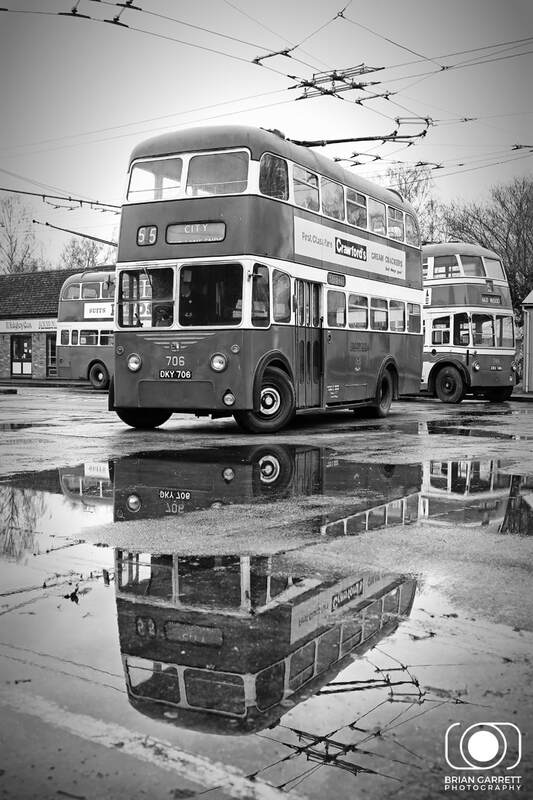 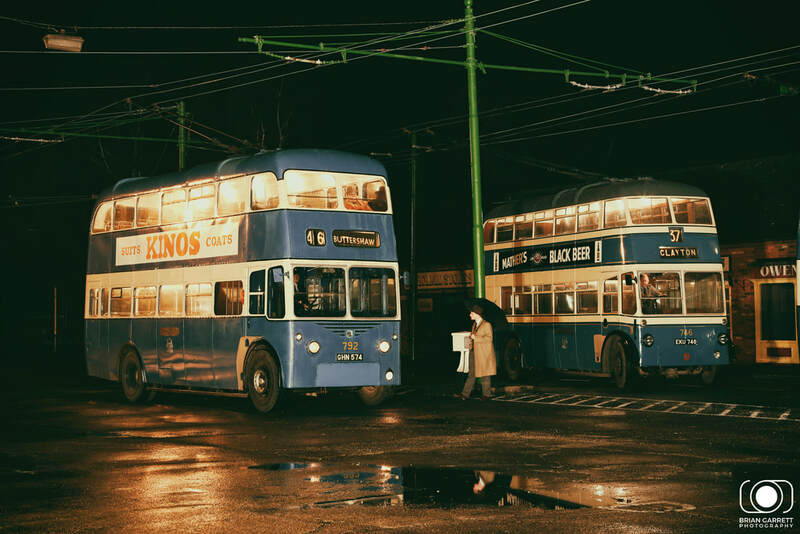 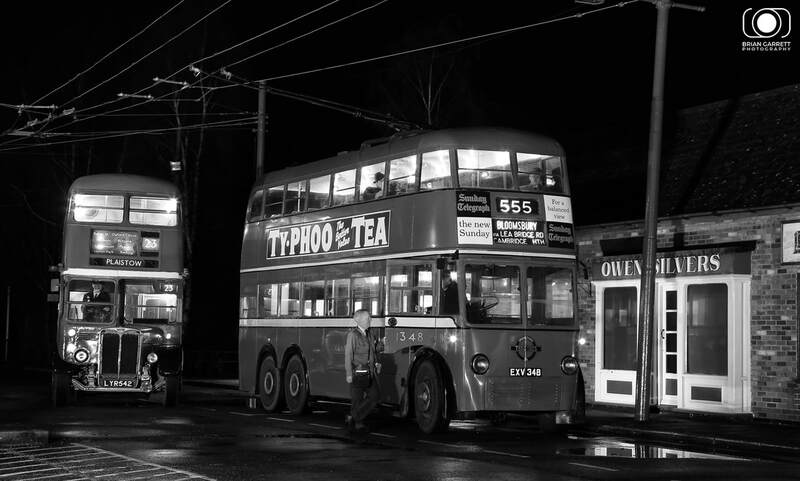 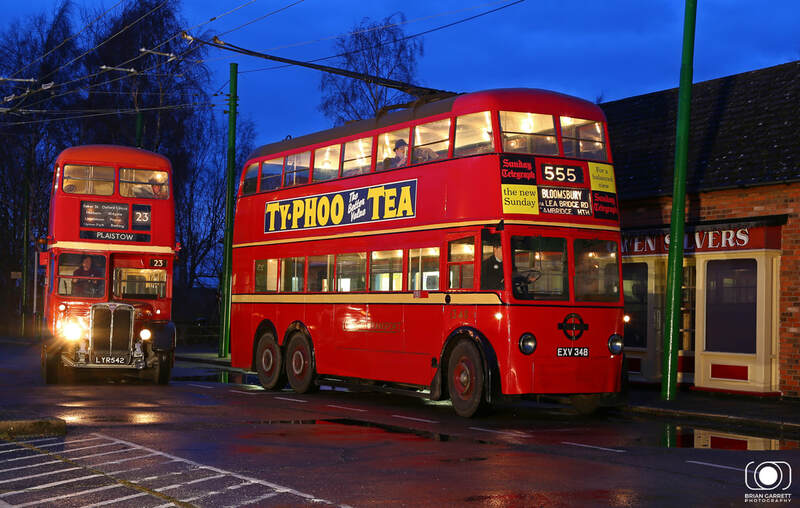 After an short dinner break in the evening to wait for the darkness to arrive, two former London Transport buses (one being a standard engine'd RT3323 - LYR542) were provided, before we switched back to the three Bradford examples to complete the photography. 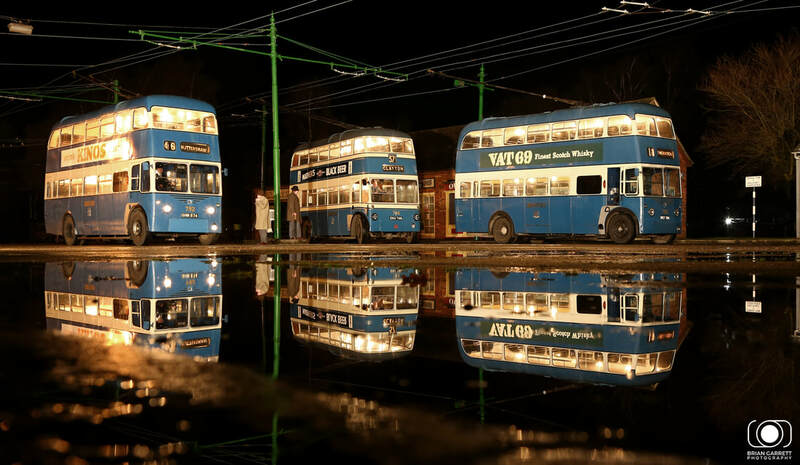 The event also coincided with heavy rainfall during the early part of Saturday morning which provided some wonderful reflections in the various large puddles which had formed around the complex. 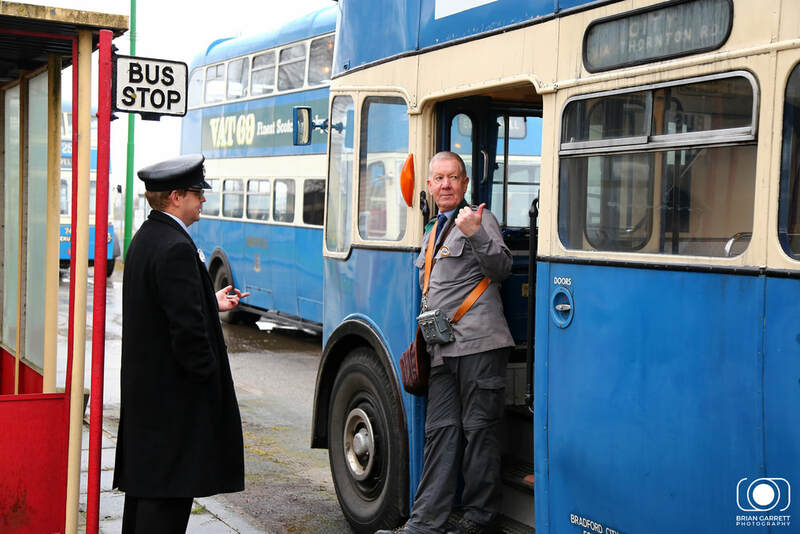 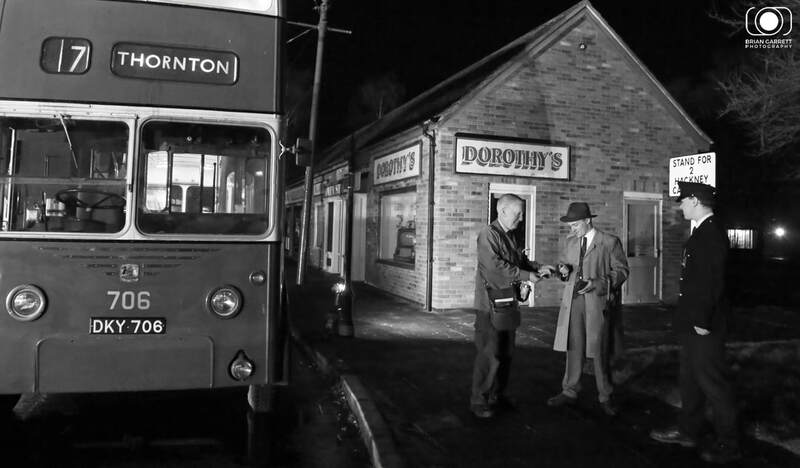 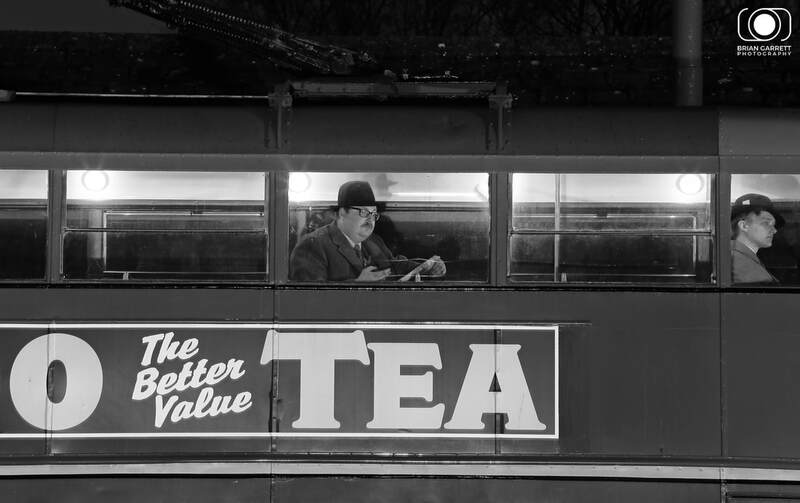 To further add to the atmosphere, Timeline Events also supplied a small group of rein-actors to pose in period dress as drivers, ticket inspectors and passengers. 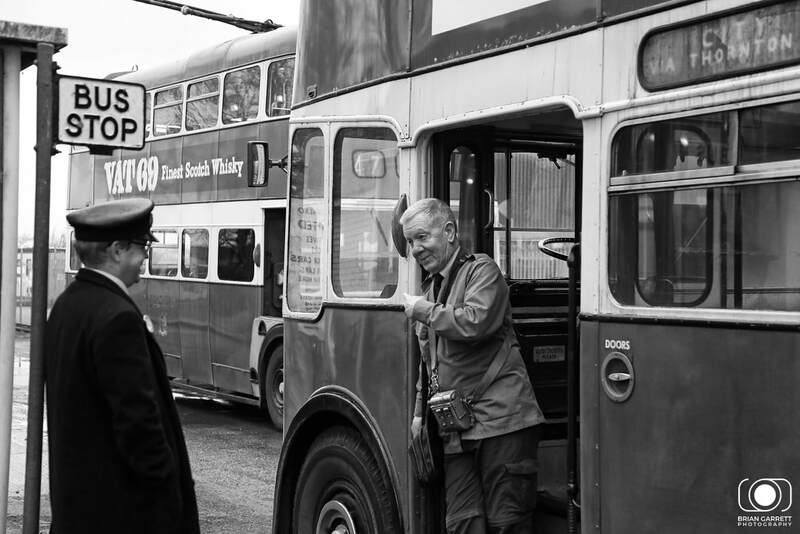 The event was another unique experience which resulted in some quite spectacular images having been captured during a fun afternoon/ evenings photography. 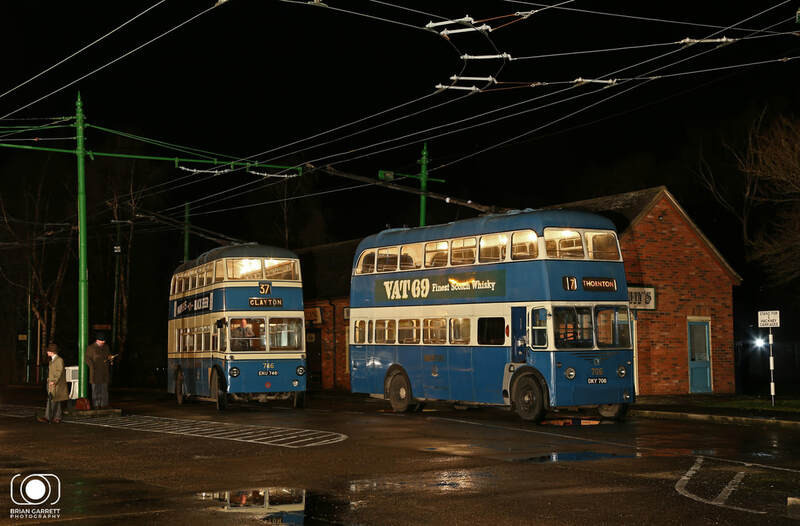 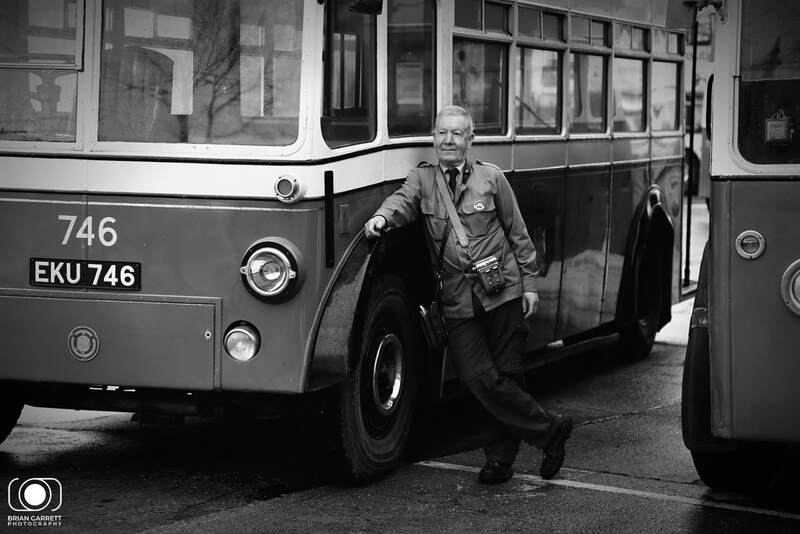 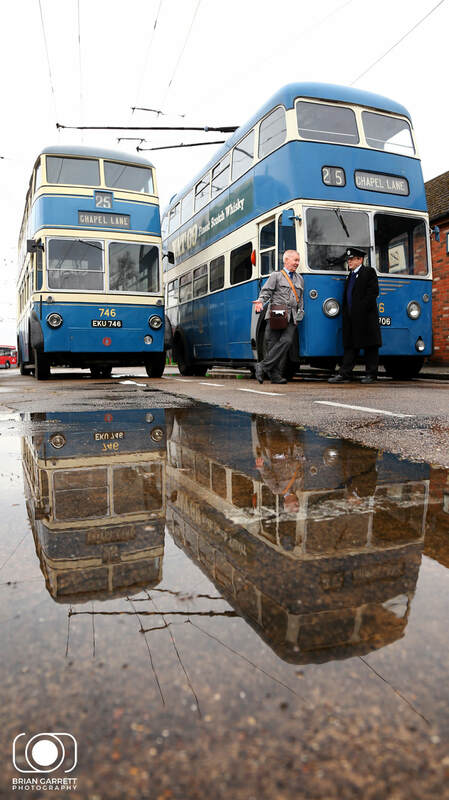 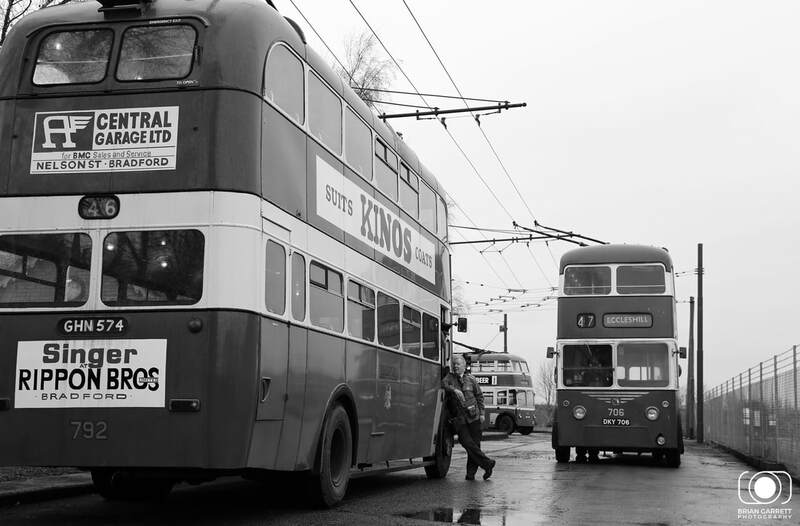 The Sandtoft Trollybus collection is vast haousing over 60 Trollybus examples. 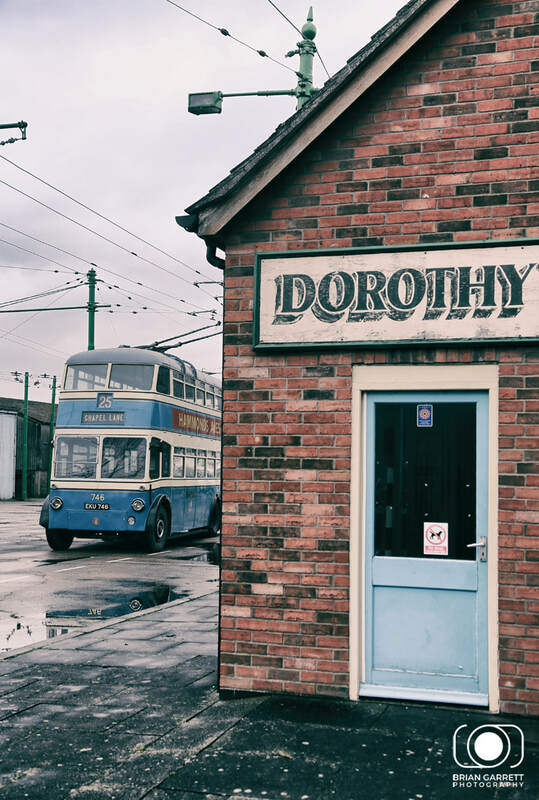 I would defiantly recommend a visit to this location during one of the many open weekends which they hold for visitors and enthusiasts. 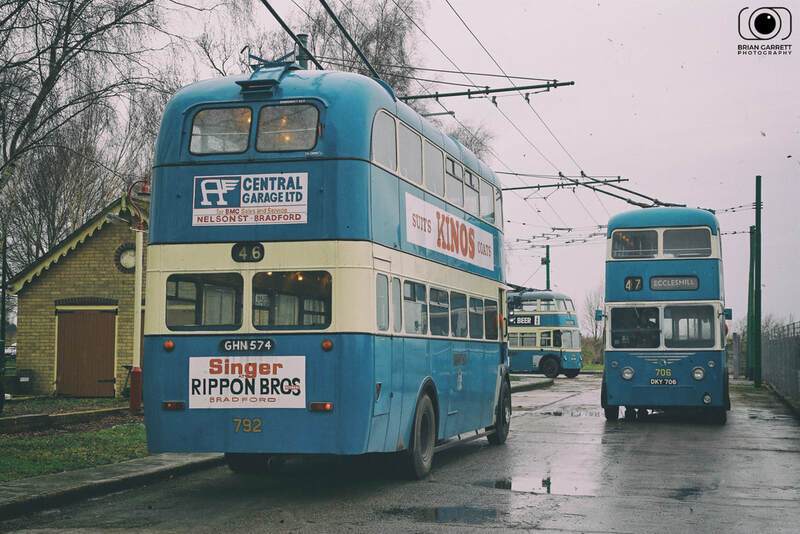 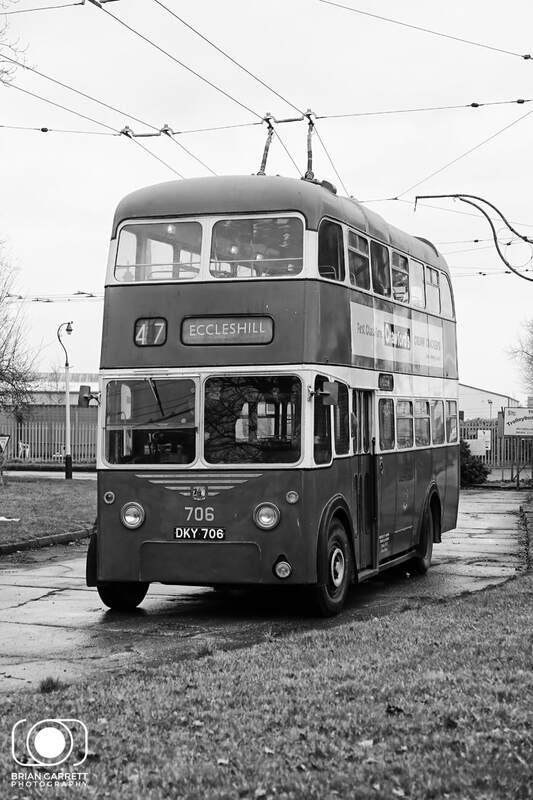 Located just to eh east of Scunthorpe the small site hosts a huge collection of pristine trolleybus's from all over the UK.